CC Hackney - encouraging and developing riders from the whole community in the area. 2018 is CC Hackney & Interlinkx CiC's eleventh year. CC Hackney's parent company Interlinx CiC (who are in charge of CCH's house and home(s) as well as leading on fund raising & community outreach) last year celebrated ten years since founding in 2007. 2018 Hackney Sports Club of the Year, 2018, 2017, 2015, 2010 & 2009 London Youth Games Cycling Champions, 2011 Tour de l'Ain Cyclo team prize winners, 2011 National Masters Road Race Champions (cat. E) 2010 & 2012 Hackney Sports Personality of the Year and one of the best cycling clubs in Hackney. Cycling Club Hackney is dedicated to promoting cycling and cycle sport for all levels and ages. Our main club rides run every Sunday, where members and newcomers meet and socialise - check the calendar for upcoming events. We have an active youth section catering for young people between the ages 8 and 18, as well as our senior and women's representation. 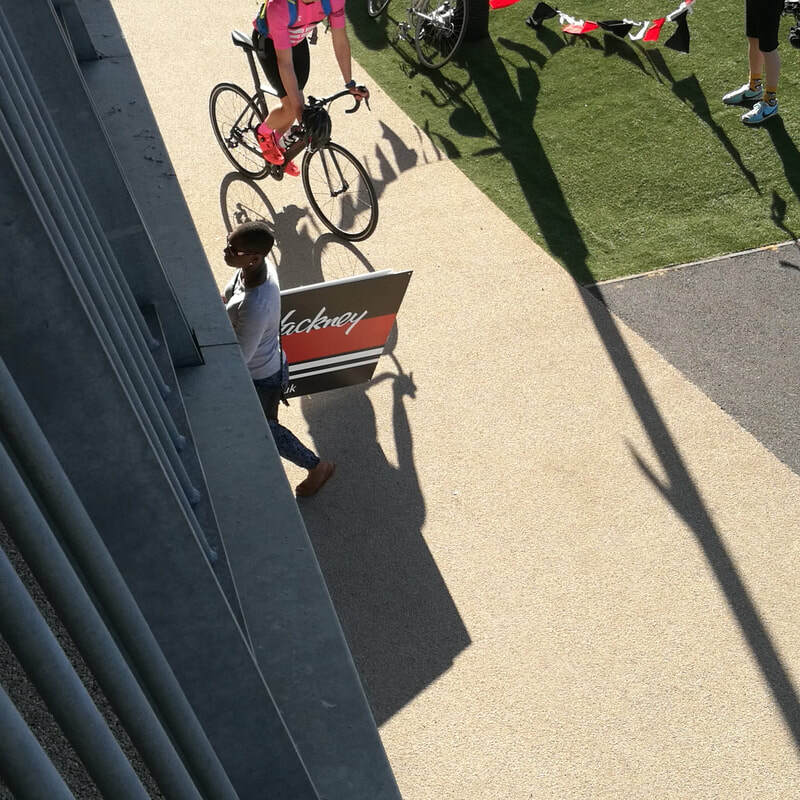 Our popular circuit race series the CC Hackney Primaveras runs every spring at Lea Valley Velopark, and we also organise and run men's and women's road races. CC Hackney is run by volunteers. There is an expectation for all members to do their bit from time to time but especially being on point when the club has a calendar event to deliver. Our custom kit orders are made periodically throughout the year, notices for which are given in good time via our websites. Currently CCH has a limited amount of surplus stock with good supplies of shirts and a reasonable number of shorts available. The skin suits we have and any mail orders are sold direct from the club; for these and any delivery inquiries please contact us via email.